It’s too easy to describe Matt Bell’s work as mythic. A lot about it is, but what makes it such a valuable addition to the field of stuff you can read is not just the way it draws from and modernizes mythic structures, but the way it burns through those structures to touch the awe and terror that gave rise to them. 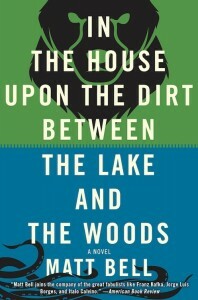 In The House Upon The Dirt Between The Lake And The Woods, his phenomenal debut novel, tells a story about barrenness and fertility that is also a story about the fight to heave off the expectations and limitations of mythic storytelling. 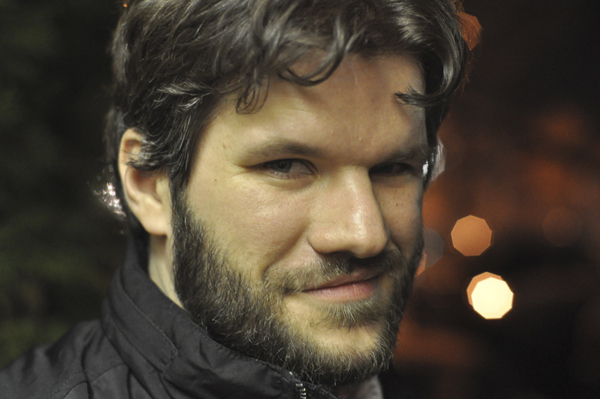 Bell writes with the leisurely flow of an oral epic, and his unnamed, communally defined characters (“my wife,” “our false son”) have as much lineage in ancient Greece and Scandinavia as they do in contemporary America, but instead of aspiring to the oral epic’s universal openness, In The House aspires to its own brand of claustrophobic intimacy. The narrator speaks like a bard but his story is his own, his voice unmistakably first-person. This story is filled with quests, labyrinths, and totem animals, taking its shape partly from Orpheus (a husband seeks his wife along a seemingly never-ending downward path), and partly from Faust (this man fends off invitations to cowardice offered by a devilish miscarried boy living in his guts), but it strips these familiar elements of their cultural baggage and moral agendas. Free of what’s boring and overdetermined about them, they start to feel a lot stranger and more dangerous. So I hesitate to use this space to self-promote, but in this case I will make an exception, for a number of reasons, beginning with the fact that the project is online and free. For Short Story Month, Matt Bell has been posting reviews of short stories, guest posts, and quotations from renowned writers on the craft of short story writing. Yesterday, Bell wrote an amazing post about Eduoard Levé’s When I Look at a Strawberry, I Think of a Tongue which appeared in Paris Review 196. You should read both the excerpt (genre indeterminate, sort of, you’ll see) and Matt’s commentary. 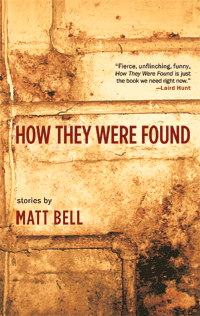 Did you buy How They Were Found by Matt Bell? He wants to give you a free ebook. Details on his blog. Last year saw the release of the first full length work by a much buzzed and discussed and well admired presence both online and in print, the seemingly inexhaustible Matt Bell. Between his countless writing projects, his editorship of The Collagist and role on the masthead at Dzanc Books, to relentlessly blogging and spreading the word all over the place not only about his own work, but scads of other, I don’t think there’s anybody who would argue Matt Bell isn’t an enormous lodestone-type presence for the independent press world, and always on the prowl. Over the past few months, Matt and I exchanged a bunch of emails, some days apart, some weeks, in the midst of all this, conversing about the book, How They Were Found, Matt’s fortitude and unwavering ambition, process, sound, and many other things of the word. BB: So, as a collection, How They Were Found represents a pretty wide arc of time and writing for you, yes? I remember “A Certain Number of Bedrooms, A Certain Number of Baths” from Caketrain several years ago being a story that was probably the first of yours I read and was like Yes, this man’s mind: there is aura here. I think I’d actually read all of the stories except one perhaps in journals since then, and was really impressed in the reading of them as a whole object how they really seemed to comprise a sense of a whole, even over such a course.. I wonder how it feels now to you to see all that time represented in an object, and if the parts as parts became different to you once they were assembled into that body? Also, how did you go about figuring out what stories from that time should go into the book and what should be left out? MB: The time span of How They Were Found is a weirdly elongated space, because while I wrote “A Certain Number of Bedrooms, A Certain Number of Baths” in 2006–looks like I did the first draft in March of that year–I didn’t write any of the other stories in the book until 2008. The next earliest is “Hold on to Your Vacuum,” written in January of that year, and then “Ten Scenes from a Movie Called Mercy,” written a month or two later. Staring six months later, say August 2008, I wrote all of the rest of the stories that are in the book, meaning that ten of the thirteen were written between August 2009 and May 2010. So in one sense the book took me five years to write, and in another I wrote the bulk of the book in eight or nine months. The truth is probably that it was both, and that what I didn’t realize was starting with “A Certain Number of Bedrooms” just took a couple years to play out. What I remember of writing that story is that it came out almost effortlessly, in a way almost nothing does now: I had a first draft in a single day, and while it took a while to polish it–I literally just stopped, in some ways, since I tweaked a few sentences between the galleys and the final of the book–but ninety or ninety-five percent of what’s in the final version is in the first. It was something new for me, different than what I’d done before, and while I’d like to say that writing that story instantly helped me get to where I could write the rest of the stories in the book, it didn’t. I didn’t write anything else like it for a long time, didn’t even know enough to recognize how different it was from what else I was doing. I decided to take a look at The Collagist as a whole—or, rather, a whole created by the sum of its parts, the magazine as collage that lives so smartly up to its name. It’s true that perhaps any literary magazine could be considered a sort of collage, as it layers story and poem and visual and sometimes sound to produce a bigger picture. And yet not many literary magazines choose their pieces with the consideration a collagist uses to cut out his shapes, to determine the colors of the paints she’ll layer. The Collagist is one of my favorite literary magazines because the choosing is intentional, is meticulous, is precise. The chosen few pieces generate an intentionally tight edit. The name of the magazine, I’d guess, was not chosen on a whim, but as a sort of statement of purpose. The Collagist’s contents are widely varied in style and substance but are not random; like the best collagists, I believe editor Matt Bell uses every story, every review, every poem and excerpt and reprint and even the bios as a layer to build, to create something greater than the pieces themselves. The magazine as the work of art. Many of my favorite artists worked with collage at some point. Georges Braque, Robert Motherwell, Jim Dine, Robert Rauschenberg, Louise Nevelson, Marcel Duchamp—they all created work that was layered, that intensified as it grew and spread and collected and fragmented and shifted meaning from piece to piece and space to space. 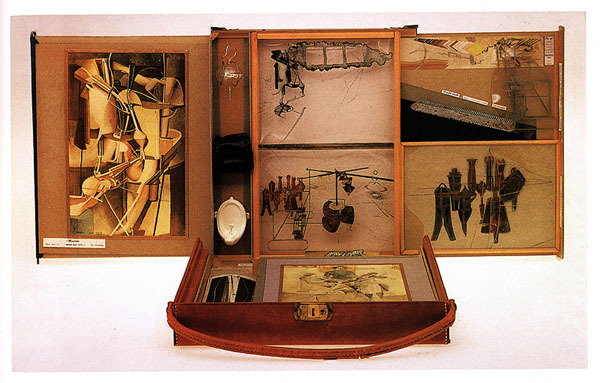 With wood, with paint, with newspaper, with found objects, with paper, with photos—and in the case of The Collagist, with words. Like collage artworks, each issue of The Collagist seems to swell and grow, the consequence of addition. The thread running through is not a theme per se, but a meaning you build yourself. A customizable puzzle. Deliberate yet obscure, fuzzy as close-up pixels in its larger clarity. One of the things we’re most interested in doing with the LMC is looking at both print and online literary magazines. Much is made about whether or not great writing exists online and every other month we’ll try to answer that question as we read a new issue of an online magazine. The first online magazine we’ll be reading is The Collagist, edited by Matt Bell and published by Dzanc Books. The Collagist is published on the 15th of each month and features a mix of fiction, poetry, novel excerpts, essays and reviews. What is the vacuum cleaner in Matt Bell’s “Hold on to Your Vacuum”? 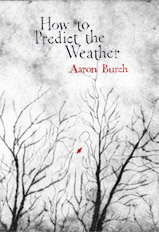 For a limited time only, Keyhole Press is offering both Matt Bell’s How They Were Found and Aaron Burch’s How To Predict the Weather in a package deal for $19.99 including shipping. Can’t wait to have these monsters in my hands. Thanks, Ken, for posting about Matt Bell’s live writing sessions. The first paragraph of his story, one that never made it off the ground, has been posted at Everyday Genius, where there is also a schedule and a link to the MeetingWords site where it’s all going to happen. Tune in today at noon and again at five to see how Matt Bell writes a story, letter by letter.